Apple and Qualcomm have been battling through motions, injunctions and trade disputes across the globe, but their big trial finally begins this week in San Diego. The Wall Street Journal ran a great piece yesterday that gets into some of the background of the fight between these two tech giants. More importantly, it touches on the disconnect between their two leaders, Steve Mollenkopf and Tim Cook. The long and short of it is, this fight has gone far beyond a soured business relationship. If it really were “just business,” the companies would still find a way to work together like Apple and Samsung have managed to do for years. Through lawsuits over patents, traded barbs and intense competition in shared markets, they have always continued to do business in different ways. That is no longer happening with Apple and Qualcomm. In that light, I can understand using Apple’s size and leverage to get the best deal possible. However, it feels like we are far beyond that point. If a deal was coming, I think it would already be done. Considering that, according to the WSJ article, these two CEOs don’t have a close relationship or common ties, there is little chance of a settlement beyond one company getting a big leg up on the other in this court battle, or another case or trade dispute. Here is the part I find ironic. It was Steve Jobs who brokered the original iPhone deal with Qualcomm because of his personal relationship with then CEO Paul Jacobs. However, he also lead an all-out patent war against Samsung and others in attempt to do as much harm to Google’s Android platform as possible. He let that fight go beyond business into the personal realm. Then came Tim Cook, who brought a gentler hand and more diplomatic leadership style to Apple. It was pretty clear within a few months that he wasn’t interested in continuing to push the patent wars that Jobs had started. Within a few years, he had wound them down and settled all of the major cases, marking a major shift in how Apple operated in the smartphone space. However, this current battle between Apple and Qualcomm shows that no CEO is immune to letting a business battle get personal. Not even a normally mild mannered guy like Mr Cook. Jobs was personally invested in the development of the iPhone. It was the biggest part of his legacy at Apple and I think he realized that early on. He did NOT take Google and Samsung’s early imitations as the sincerest form of flattery. He wanted to go to war to protect his personal investment. Tim Cook was just as instrumental to the development of the iPhone, just in a different way. He was the man in the background who made most of the component and licensing deals that made the phone we know today possible. 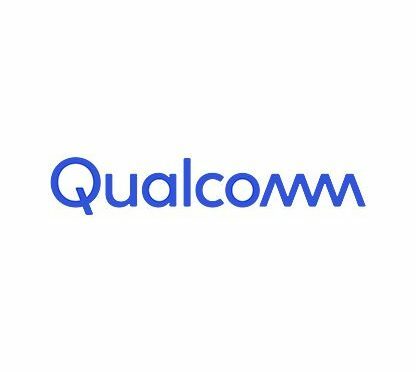 His investment in the project through the supply chain and operations side may be different, but we see in this fight with Qualcomm that it is no less personal.